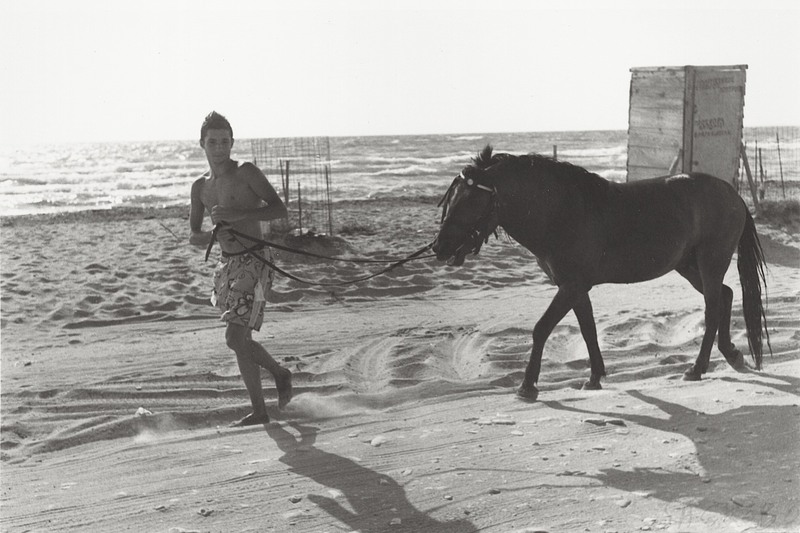 A young man with a horse at the beach one summer afternoon in western Greece. I always carry my camera with me; even when I go swimming. The day I took the photo, I was parking my car when I noticed this young man with the horse at the beach. I immediately got out of the car and I approached him and the other people observing the animal. When I figured out that he was going to pass from where I was at the moment, I stopped and I prepared the camera for the shot; that is the main photo I present in this article. Of course, I couldn’t let the chance to take more photos go wasted, so I took some other photos of the horse, which I present in the small gallery below.